This is a use for a logo I didn’t consider and at the moment don’t really need to since I’ll be using a hosting site but could be something to consider in the future. Following on from this I jotted down a few words that I’d associate with myself that could potentially be incorporated into a logo design or at least give me some ideas. Going with the idea that my logo should incorporate my name and what I do, I then started sketching out my name in different ways to see what ideas I could come up with. 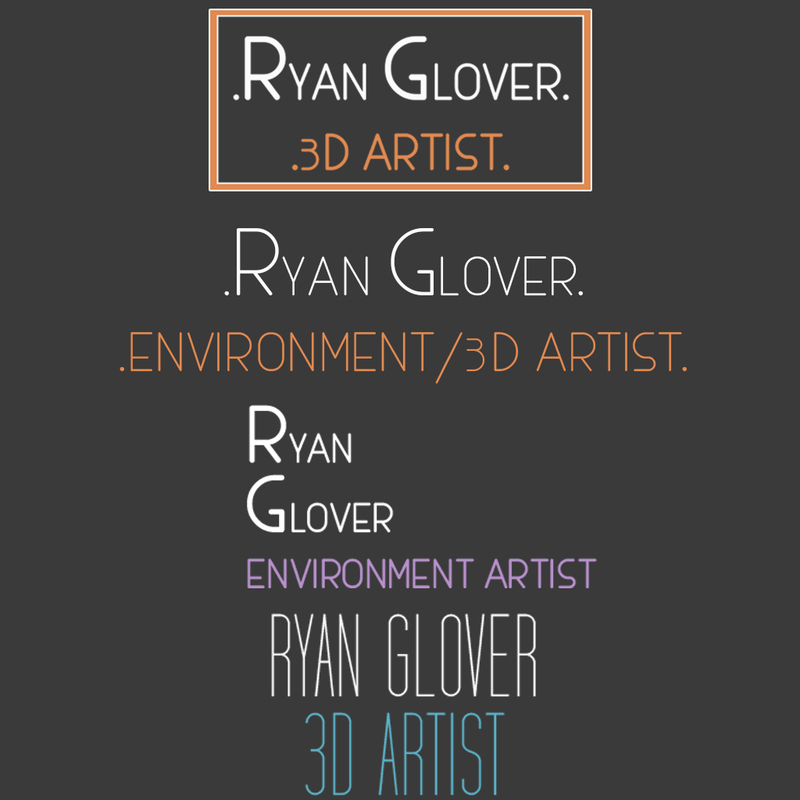 Most of the designs are relatively simple, just using my name in different ways. The next step was to go into Photoshop and start creating some of these designs using different fonts and colour schemes. After some consideration I decided to go with the second design for now, but will change in the future when I think of better designs. I decided to change the colour of the text to better match the colour schemes available on carbonmade. I’ve got a favicon now.